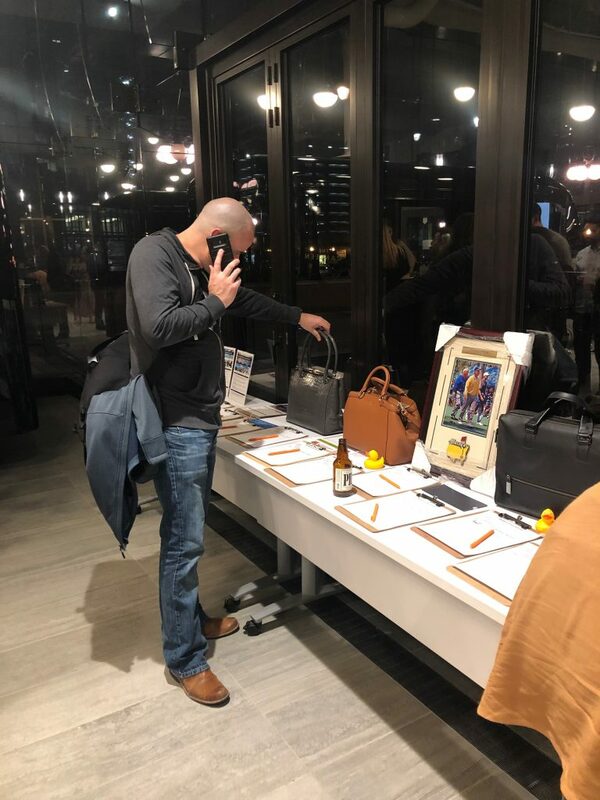 Swoon’s 5th Annual Silent Auction Event Was The Best Yet! 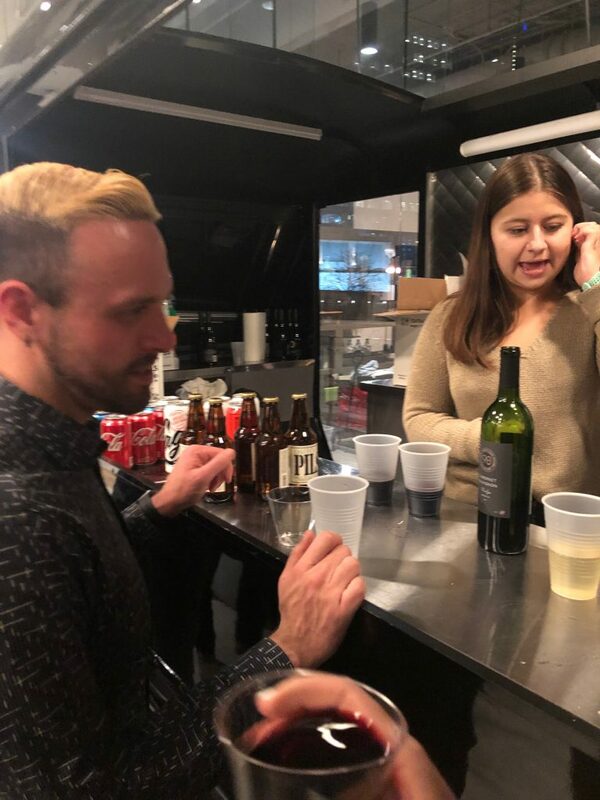 On Friday, March 22nd, Swoon hosted our fifth annual fundraising event to raise money for Almost Home Kids (AHK), a local organization that offers transitional care and training to families who are bringing their children home from the hospital with complicated health needs. 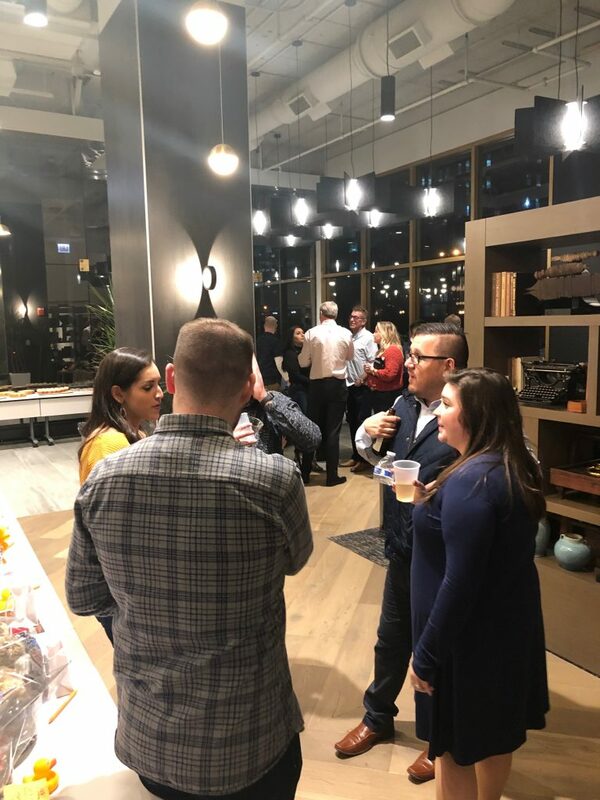 This year, the event was held in our Chicago office’s building lobby, “The Tennant Lounge at The 300.” This is a brand-new space that was renovated earlier this year. 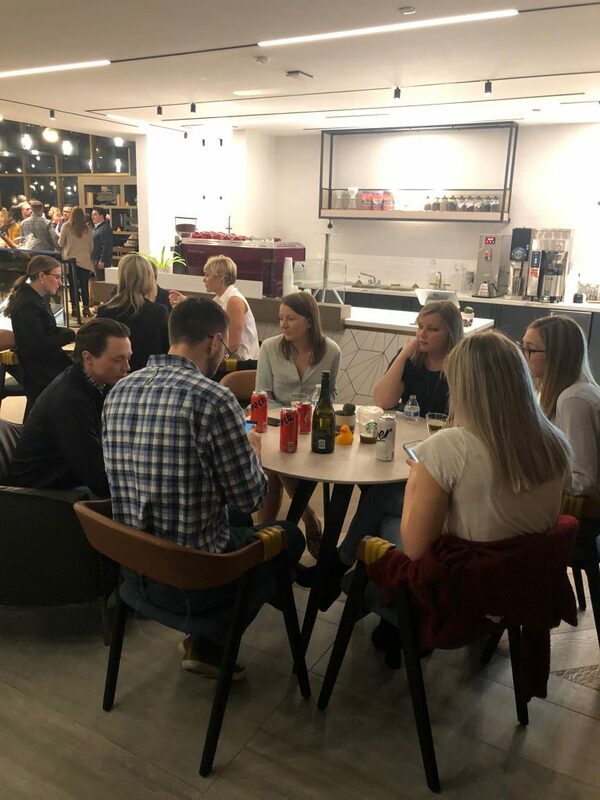 We were very excited to hold our event in the larger venue and to host more guests than we were previously able to. 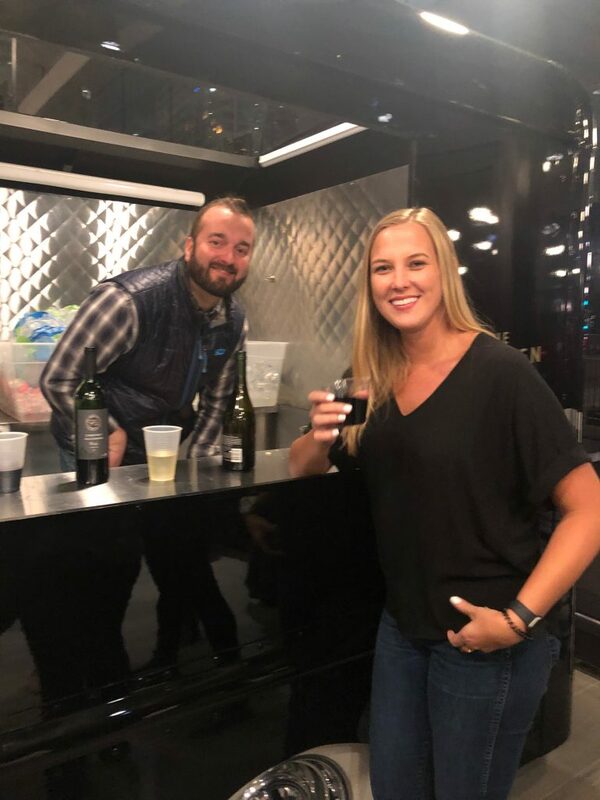 Each ticket included food and beverages, and we were pleased to serve food donated by Mediterranean Express and desserts given by Nothing Bundt Cake and Eli’s Cheesecake. Our charity committee began planning and gathering donations for the event in early January. We reached out to our friends, family and local organizations to request donations for our gift baskets and silent auction items. 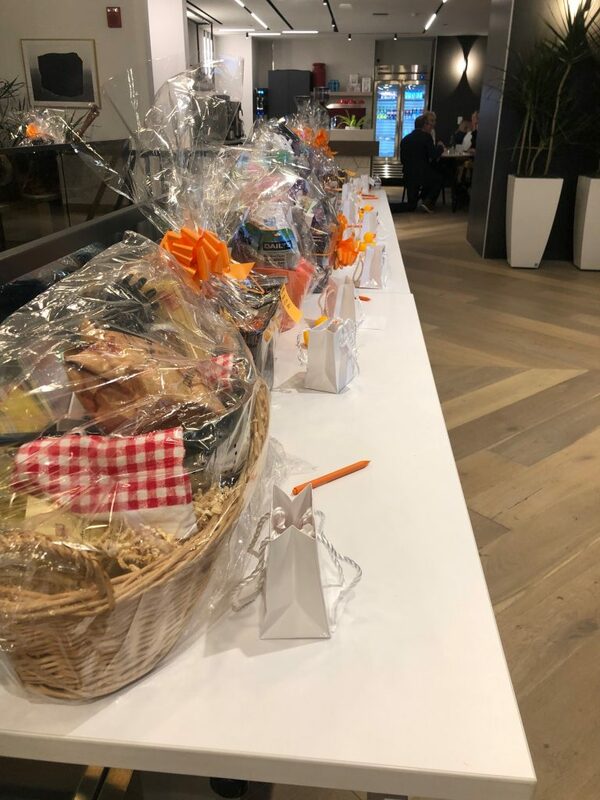 Several charitable donors participated, and we had more than 30 raffle baskets and 15 silent auction items available to bid on which was the most we have ever offered! We had a very successful evening with over 90 guests and several bidding wars on our hot ticket items. We raised over $7,000 which was then matched by our CEO and President to total $14,000 donated! 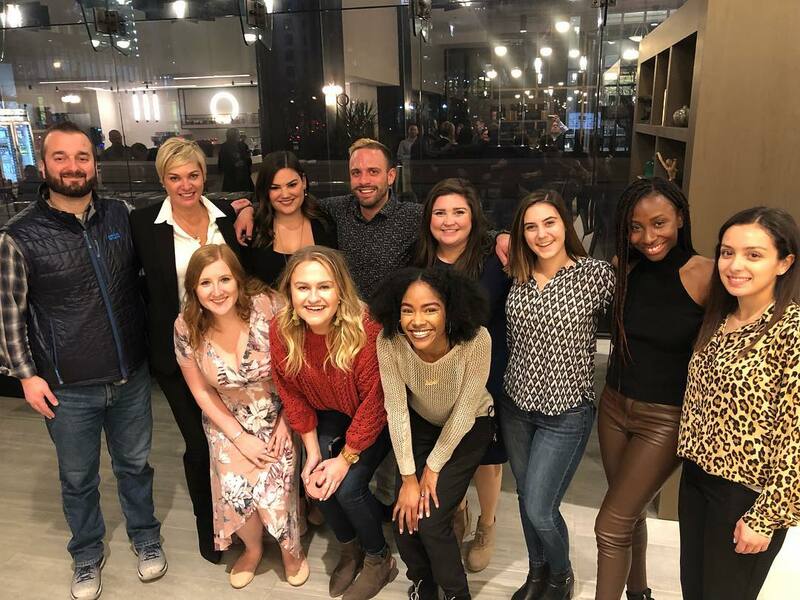 Lindsay Rawlings, Manager AHK Project Management and Martin Grisko, the son of founder Deborah Grisko, attended our event and gave a brief presentation on the organization and the many ways that it helps families in need. Almost Home Kids envisions opening new facilities to service the needs of children with complex medical conditions and their families in other communities throughout the country. 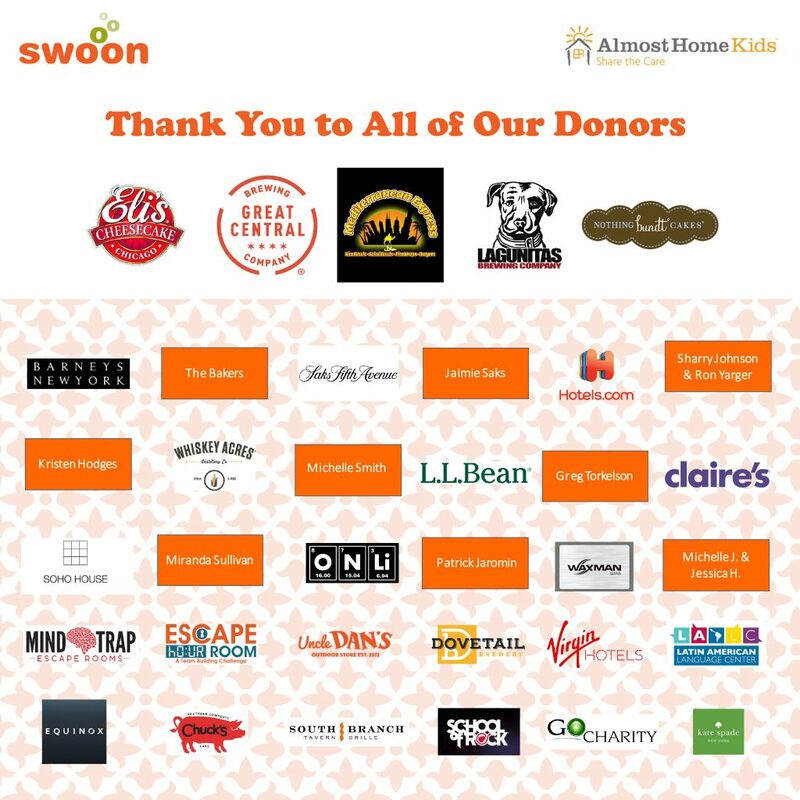 Swoon is honored to be able to contribute to the costs associated with running the Almost Home Kids facilities. For more information or to see how you can make an impact, please visit www.almosthomekids.org.